Columnist Marcus Miller presents his comprehensive guide for ranking well in local search when you are managing multiple business locations. Brands and large, multi-location businesses are horrible at local SEO. That is a bit of a generalization, of course, but it certainly represents my experience working with larger multi-location businesses in the U.K. If you have a recognized brand with a local presence, your general authority should make ranking in local search results somewhat easier; yet all too often, this is not the case. The purpose of this post is to outline the key areas for brands, franchises and multi location businesses to focus on for local search success. Why should you care about local search visibility? What’s in it for you? According to BrightLocal’s Local Consumer Review Survey 2014, 92% of consumers used the internet to find a local business in 2014. And that number is likely growing — a recent Google report noted that Google searches containing “near me” have increased 34X since 2011. The proliferation of mobile internet access via smartphones is largely responsible for this, and this shift towards a more mobile consumer base has made local visibility critically important for business of all shapes and sizes. Local search has something of the Wild West about it (certainly lots of cowboys), and many small, single-location businesses are benefiting from great local visibility. The nature of local search and the importance of business data around the web has created an environment where it is harder for multi-location businesses to naturally have great local rankings. It is possible, but you must pay attention to the core local SEO principles. The main takeaway should be that even titans of industry can’t ignore local search. Tight adherence to local SEO best practices is still needed for solid results. The benefits include increased visibility with local users, improved reputation at a local level, and a possible boost to PPC performance through the integration of local reviews via location extensions. So, you have partnered with a digital agency. You have been doing content marketing. You have even done some SEO. Yet, your locations are not visible in local searches. What gives? Unfortunately, the backbone of local SEO relies on more than traditional authority and good marketing. The good news is that it is all very achievable given a bit of hard work and some consideration for individual locations rather than just the brand as a whole. Following are the top five issues we see that are holding multi-location businesses back from achieving strong local visibility in search. Get these sorted, and (in most cases) your individual stores will begin ranking in the local and localized organic search results. No location pages. Ideally, each store location should have its own unique, well-optimized page. While it is possible to create a single page that covers a given area or region, think about it from a user perspective — it is rare that a regional page will be able to deliver the specific information a searcher is looking for as easily as an individual location page. Non-discoverable location pages. If your location pages are only available through a search or branch finder on your site, then Google may not be able to find them. If Google can’t find your location pages, they won’t index them — and local searchers won’t find them. Poor location page quality. Do your location pages provide the user with everything they need to contact your business? Are the opening hours there? Is there any specific local information? Do they link to other elements of the site that are relevant to this location? Is there a map? The more value you provide on these pages and the more they serve the intent behind the user search query, the better these pages will perform. Poor overall site quality. Is the site over-optimized? Are the location pages largely the same, barring a few key details? Is the content well written? Is the site technically well put together? Is the site usable on a phone? Is it fast to respond? Quality, uniqueness and relevance should be your focus when working on your site else you risk a dampening effect from various qualitative components of the search algorithm. Penalties. Are there any known or suspected issues that have affected traffic? Penalties? Dodgy links? Google Search Console (formerly Google Webmaster Tools) will detail manual penalties, but there are many different shades of filtering that need to be considered and addressed if the site has lost rather than gained traffic over the years. This may be a giveaway that I am hungry whilst writing this, but I like the location pages on the Domino’s Pizza site — they are location specific and have unique offers for each store, opening times, links to online ordering for pickup or delivery, and a link to a map. What more can a hungry man (or search engine spider) want from a location page? As most multi-location businesses know, getting set up with a Google My Business account is crucial to getting your business information visible in Google products like Search, Maps and Google+. Google provides a (relatively) clear set of guidelines regarding how local businesses should conduct themselves if they want any play in the local search results. Unfortunately, it is all too easy for pages to violate policy guidelines without any real nefarious intent. Factor in some overly aggressive SEO tactics, and you have a recipe for local invisibility. Name. Make sure the business name you provide is indeed the exact name of your business. Not the name and the location. Not the name and some keywords. Certainly not just some spammy keywords. Your name should be your name. That goes for all locations. Really. Address. Your business address should be accurate and consistent with how it appears elsewhere on the web (including both your website and external citations). I find it helps to make sure Google understands your address and move the pin if need be to get it correct. Phone. Your phone number should be a local number that connects people directly with the local store. As with the address, the phone number should match the number on the location page of your website and be consistent across your various citations throughout the web. Additionally, if you only have one phone number for your whole business (rather than separate numbers for each location), that is not going to work. Website URL. The website URL should be your actual website — ideally, the specific location page with a matching name, address and phone number (NAP). Categories. Ensure you choose the most accurate category first and use the least amount of categories possible. Less is more. Consistency. For multi-location businesses, keep it consistent from one location to the next. Ensure categories and names are the same, and try to use local numbers and location page URLs relevant to each location. Completeness. Fill out your profile. Ensure it looks the part and is 100% complete. Include photos and good descriptive copy. Consider using a virtual tour if you believe it will add value. Remember, Google is the sheriff here; it lays down the law for local search success (in Google, at least). In many cases, dealing with Google My Business issues can have some startling and instantaneous results (if, of course, that is your problem) — we have seen businesses go from nowhere to top three by fixing simple problems with the name, address, phone number and categories. Every mention of your business around the web is known as a citation. Citations may feature all or part of the NAP. Ensuring a consistent NAP can be tricky for a single-location business — when managing multiple locations, there is an almost exponential potential for things to go awry. Each location then has 54 potential NAP variations (3 x 2 x 3 x 3). We have ten locations, so we have a potential of 540 variations on addresses across a tiny, ten-location business. This is before we consider listings that totally goof the address. In practice, it is rarely that bad — but what happens when you have 100 locations? 1,000? 10,000? What kind of impact does this data inconsistency have? Throw in a rebrand, some acquisitions, and several closed locations, and suddenly we can’t trust your citations and business information — and neither can Google. The best way I have found to visualize what we need here is to think of a video signal. If the signal is strong and clear, then the sound and video are crystal clear. If there is interference, then the signal becomes fuzzy and we can’t get a clear picture. If your NAP+W is a mess, then you are not sending a strong, consistent signal regarding your locations that Google can trust. Multiple phone numbers for a single location. Many businesses have multiple phone numbers at each location. There may also be national phone numbers. For each specific location, the phone number needs to be local and consistent across the location page, citations and Google My Business listing. Name changes and acquisitions. If a business has changed its name or has name variations, this can cause problems. Similarly, where a business has acquired other firms and the name has not been consistently updated (or old listings have not been reclaimed), this can cause inconsistency and duplication issues. Closed stores & moves. Business often locations close and/or move to a new address. When this happens, citations become out of date, and listings remain for business locations that no longer exist. Citation work must take into account closed or moved locations. Multiple web addresses. If your site has changed its URL (or has URL variations), then having variations across your citations can have a negative impact. 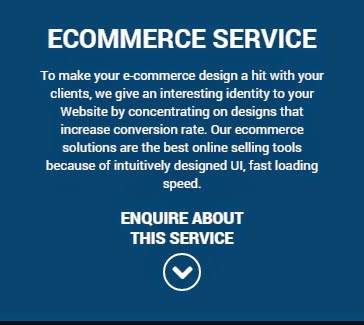 Think .com, .co.uk, with a hyphen, without, old web address, etc. Address variations. Your address should be something that Google understands and is 100% consistent across your website, location pages, Google My Business and citations. This sounds so obvious, yet many business addresses have unit numbers and other elements that make them a little more complicated than a residential address. Less is more. The old SEO “more, more, more” mentality is alive and well in citationsville, yet this can be hugely damaging. It is difficult enough to keep 50 key citations accurate, but if you have 250 (and many of those are low quality and hard to update), you are doing yourself more harm than good. Many sites that are struggling have way too many citations at the root of their inconsistency problems. With all of these points, we are looking for consistency across the location page on the site, the Google My Business listing and the citations. We worked with a U.K. flooring company that at one point had over 200 stores and now operates from 40 main locations. The citations and Google listings still existed for many of these old stores, and visibility of the brand in local search was pretty much nonexistent. We also worked with a firm of solicitors that had recently acquired several other businesses and were rebranding them, but the citations and listings still existed for these old and more authoritative businesses. This not only eroded trust in Google, it had them competing in local search with the businesses they had just acquired! In both instances, cleaning up the issues and applying a consistent NAP had a hugely positive effect and allowed for much greater visibility in local results. There are some mature tools out there now for dealing with NAP consistency issues: Moz Local, BrightLocal and Whitespark are all worth a look. Tools aside, I am something of a fan of manual analysis here, using some Google-Fu to identify citations in the order that Google returns them, as this gives us some idea of which ones the search engine considers authoritative. This is less of a problem with what is there and more of a problem with what is missing. Throwing out clear location signals is easy when you have a single location. When you are looking at businesses with hundreds or thousands of locations, then things get a whole lot more complicated. This is where local content comes to the rescue. Effort has to be made to connect the business with the local community and bolster location signals. I am a big fan of creating sections in the site for each each location loaded with location-specific content (or what my fellow columnist Greg Gifford terms “local content silos“). These mini-sites exist within the crawlable architecture of your website, but provide additional detail relating to the individual location. If we also have location-specific news feeds and social integration, we are going some way towards illustrating that this is a physical entity in the real world and can be trusted as such. This provides a chunk of location-specific content that helps tie you into the local area, providing a good dollop of location proof and authority. If we can generate some local press or links to tie into these sections, then we are cooking with gas. Testimonials. Your clients love you, right? Then ask for some simple testimonials and link them from the appropriate location page to the individuals’ linkedin.com profiles, social accounts and business websites to create real-world connections with the location. Clients. You work with local clients? List them. Link to them. Show other local prospects how you are doing great work for other local businesses. News. What is going on in the local area? Can you get involved? You can certainly write about it. Again, the more local content you can produce, the more local currency your location will have. Case Studies. This is my personal favorite. Creating targeted case studies for businesses in each location not only provides great local content, but boosts your credibility with local customers as well. Gallery. A gallery of images related to local jobs is easy content; if you geo tag these images, then all the better. Certainly, get your SEO basics dialed in here: image names, alt text, descriptions, links to the clients themselves, etc. As ever, success in search is often about providing quality, unique, relevant content and just going that extra mile. For larger businesses, providing location-specific proof and demonstrating integration with each location’s digital ecosystem helps Google understand and trust your business at a local level — and local trust is rewarded with local rankings. Larger companies tend to be hopeless at local-level reviews. There may be some action on social media or even a national review strategy using sites like Trustpilot or Feefo, but I am not aware of many national businesses that really look at reviews on a local level as they should. Consequently, the only reviews most multi-location businesses have on their Google My Business and local citation pages are bad ones — terrible, awful, scathing reviews that provide an unbalanced reflection of your business from the vocal minority. Unfortunately, happy customers rarely leave reviews (unless of course you ask them to). If you are serious about local visibility, then you must also get serious about local reputation. Building a bedrock of honest, positive reviews from real customers on your Google My Business page (and other local business review sites like Yelp) helps you stand out in the bustling local crowd — and, most importantly, helps prospects choose you over the competition. Reviews from your Google My Business are shown in paid adverts using location extensions, in the local listings and with some rich snippet wizardry you can show review star rich snippets in the organic results for your location pages. Google My Business. This platform is often ignored for reviews; as such, it will only generate negative reviews from that 1% you never can please. Citations. Most business directory citations, from Yelp to Yellow Pages, allow reviews. If these listings appear prominently in search results for your target keywords, then you can help ensure that search engine users choose you by working to earn good reviews on these sites. National reviews. Getting local reviews is great, but that is not to say you don’t want to also use one of the larger, national review platforms such as Feefo or Trustpilot. The big problem with reviews at a local level is simply that they are not being done, so be sure to consider your Google My Business and key citation listings at the minimum and work out from there. This is all great in theory, but how do you make this work within the hierarchy of a large organization? If you are a marketing manager, can you action this across the business? If you have several locations, then possibly — but it can soon become too large a task for the marketing team to take care of. One approach we have seen work well is to nominate local champions from within the business. Find individuals at each location that are willing to take control of the local marketing. 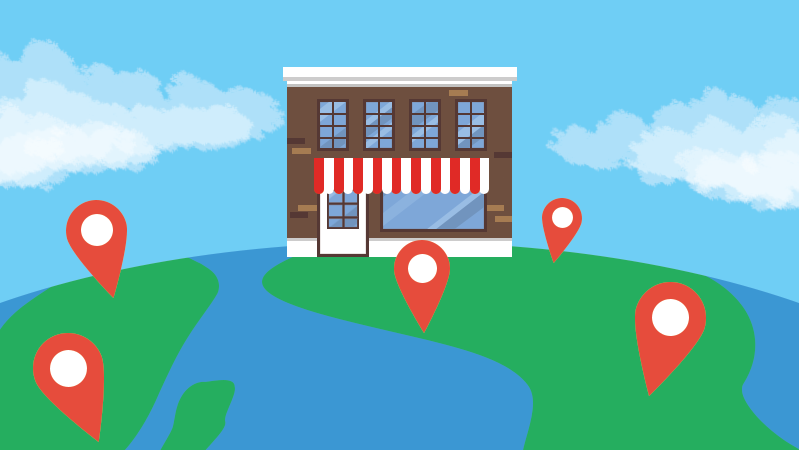 If the marketing team can create a roadmap, then nominating the store manager or local marketing manager as the local champion is a more practical way to implement business-wide local SEO at the location level. This approach can be easily incentivised with competitions at a store and regional level. Provide real benefits for those locations willing to go the extra mile, and reviews and local content can be woven into the culture of the business from the top down. A little friendly competition between branches never hurt any marketing manager trying to motivate his team! In most cases, local SEO is for larger organizations is more a problem of scale than difficulty. A focus on these key areas — and on creating a culture of reviews and local content with sensible use of technology to enable this — should allow your locations to rise up the local rankings. 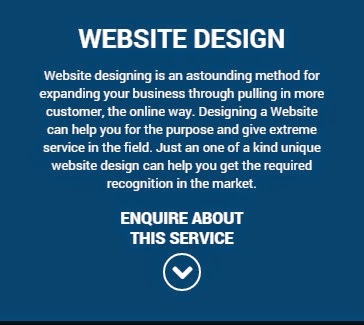 Ensuring your website, Google My Business, citations and reviews are taken care of on a per location basis will deliver strong results in most cases. Building on this with rich, local content and engaging with the local ecosystem for each location will only improve things further. All too often, good SEO is all about common sense and serving your customers and prospects. Consider what your local prospects need to make an informed decision to use your business, and deliver that by the bucket load. If you can accomplish this, local visibility will be within your organisation’s grasp! Seo Company India. Powered by Blogger. Gyan Infotech is Ranked No. 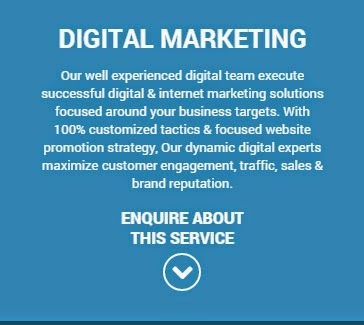 1 Digital Marketing Agency and Google Certified Partner which started out in Noida, India with a small staff in 2010. Five years down the line, our team now numbers over 100+ members and the company has shown 5 times growth year on year. We offer outsourcing solutions which effectively answer your business needs, freeing up your resources for core functions. At Gyan Infotech, we are committed to meeting your process specifications and quality expectations. Our multi-functional teams take pride in doing the job right for you the first time.